A new style of cooking. The Ecopan uses the latest technology and innovative design to produce a cooking experience like no other. 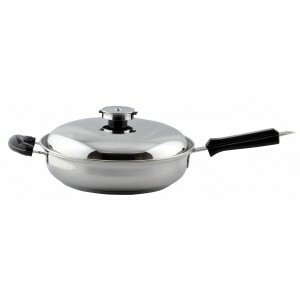 Prepare delicious healthy meals for you and your family with this environmentally friendly cookware. Saving the planet never tasted so good! – 18/10 Stainless Steel is one of the most hygienic materials to cook on. Most surgical instruments are made of 18/10 stainless steel as it is NON – Reactive and NON – POROUS. It does not corrode when it comes into contact with acidic ingredients such as lemon juice, wine, vinegar nor does it give an off taste to foods. There is nothing more important then ensuring that the food prepared for our family is on a safe and healthy surface. 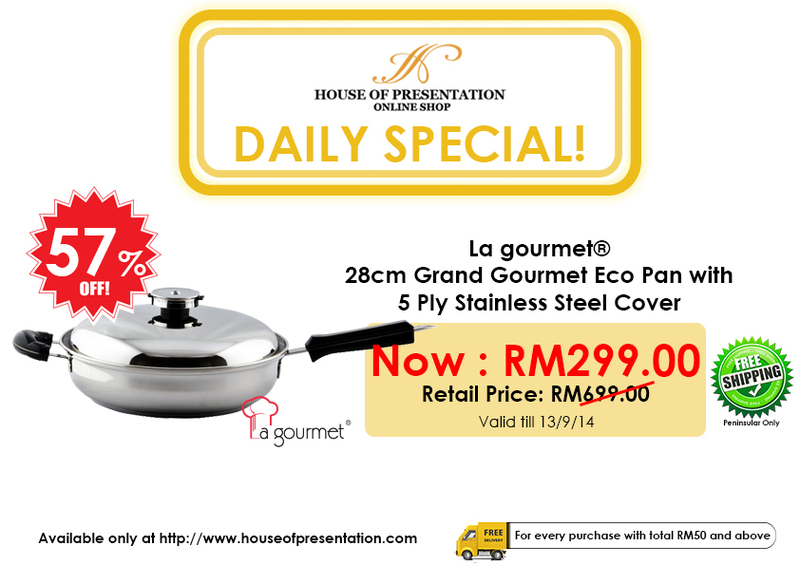 In the meantime, La gourmet provides an even more comprehensive design of stainless steel cookware that is 5-ply clad stainless steel with affordable price. Stainless Steel though hygienic, it lacks good heat conducting qualities, so to be effective for cooking stainless steel, it must be combined with more efficient heat transmitting metals like aluminium or copper. La Gourmet 5-Ply 18/10 stainless steel wok has 3 layers of aluminium sandwiched in between the 18/10 stainless steel which enables the wok to have excellent heat conducting capabilities. 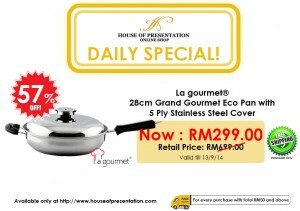 Thus, La Gourmet 5-Ply 18/10 Stainless Steel Woks has the versatility of stainless steel and aluminium’s heat efficiency. When to use: Although you can use stainless pots for almost any kind of cooking, they’re especially good for browning or for recipes that require gauging the colour of a broth or a sauce. The light metal makes a neutral backdrop for what’s going on inside the pot. When not to use: Boiling water in a stainless stockpot with a heat conducting-disk forged to its base will take longer than boiling in an anodized pot, because the sides never get very hot. 1. Before using your cookware for the first time, wash it well in warm soapy water. 2. Never store foods in your cookware. 3. Although most stainless steel cookware is dishwasher safe it is preferable to hand wash in warm soapy water and hand dry to maintain a beautiful shine. 4. Don’t use harsh scourers that could scratch your cookware. Look for a stainless steel cleaner or a scourer that is not going to ruin the surface.